The Dallas is joining our classification of “Big Boy” fiberglass swimming pools. 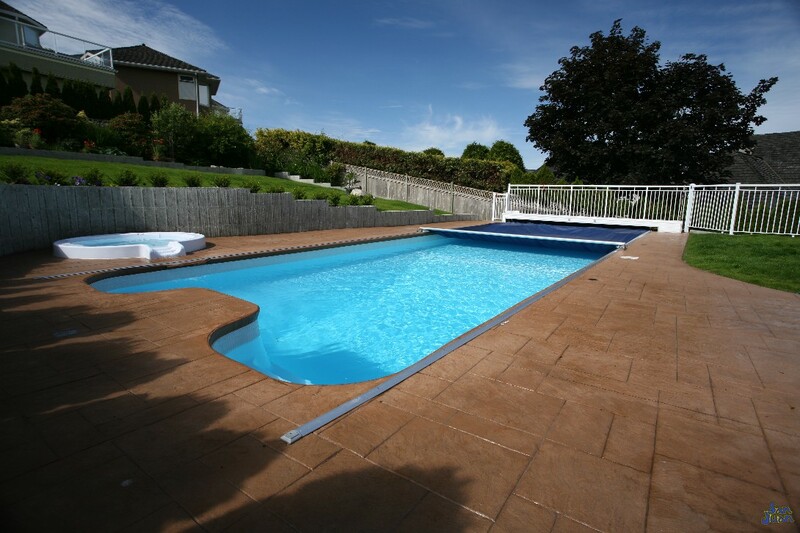 This huge fiberglass pool includes a 7′ 11″ deep end and overall length of 42′ 4″. 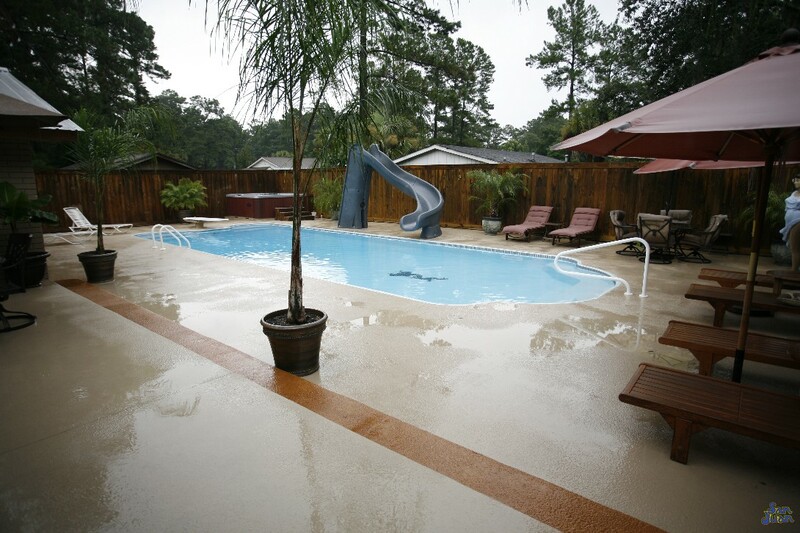 As big as the state of Texas, this pool provides a huge amount of space for creating fun backyard memories! 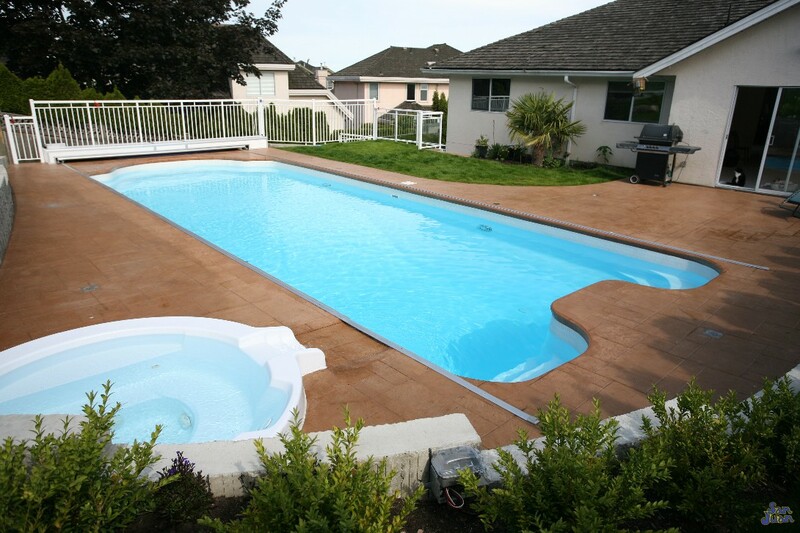 San Juan Pools is proud to bring you another large fiberglass swimming pool! The Dallas fits into our largest category of shell sizes due to it’s total length of 42′ 4″. If you plan on bringing home this giant, then you certainly need to have a lot of backyard real estate. It’s total surface area of 585 SQFT is nearly the size of a small apartment. The best part about this large fiberglass pool is its ability to hold a huge swimmer load. This makes the Dallas an excellent option if you plan on hosting any backyard parties during the year. Although, we certainly recommend parent supervision. The huge deep end of 7′ 11″ makes the Dallas a lot of fun for advanced swimmers, but safety is always key! Entering into the Dallas, you’re greeted by a a twin pair of entry steps – located on the left and right side. We designed these steps for aesthetics but they also operate smoothly as starting blocks for dual racing lanes! On the opposite end of the Dallas, you’ll find a modest deep end bench adjacent to the wall. This deep end bench is an excellent addition that allows divers to rest between dive sessions. Whether you enjoy diving for rings or bouncing into the Dallas on an ANSI approved diving board, you’re in for a whirlwind of fun! 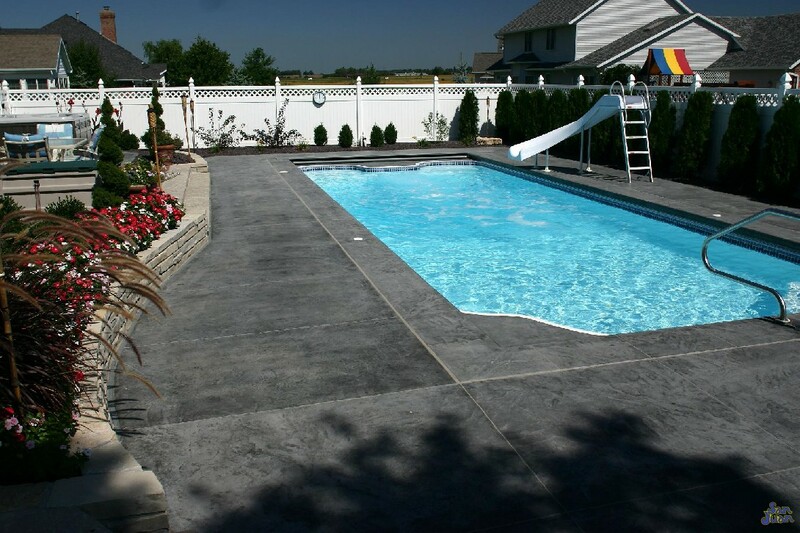 The Dallas’ 7′ 11″ deep end is the largest deep end that we offer besides the 8′ depth of our Atlantic Deep End model. We only offer a handful of deep end models which are classified as 7′ 11″ or deeper. If you’d like browse our catalog of deep end models, feel free to click this link. 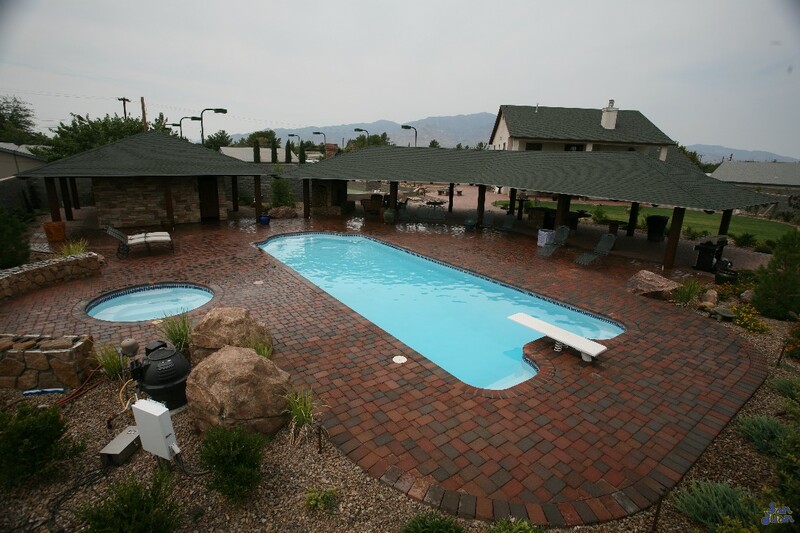 If you’re a thrill enthusiast, then the Dallas is the perfect pool for you! We give you as much real estate as we could muster – all to equip you for an eventful summer if your new backyard! 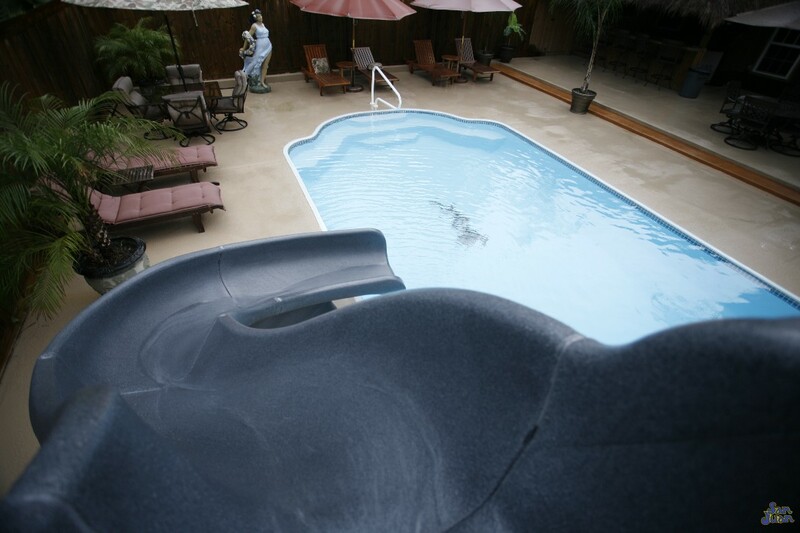 Pair the Dallas with a diving board, twisting pool slide by SR Smith or dive in for a round of lap swimming. Believe it or not, the length of the Dallas is so large that it only requires 15 complete laps to make a quarter mile. Therefore, by purchasing the Dallas, you now have a great way to get in some vigorous exercise before spending 8 hours in your desk chair. Now that’s a win win! In conclusion, the Dallas is our way of bringing home the vast square footage of Texas to your backyard! 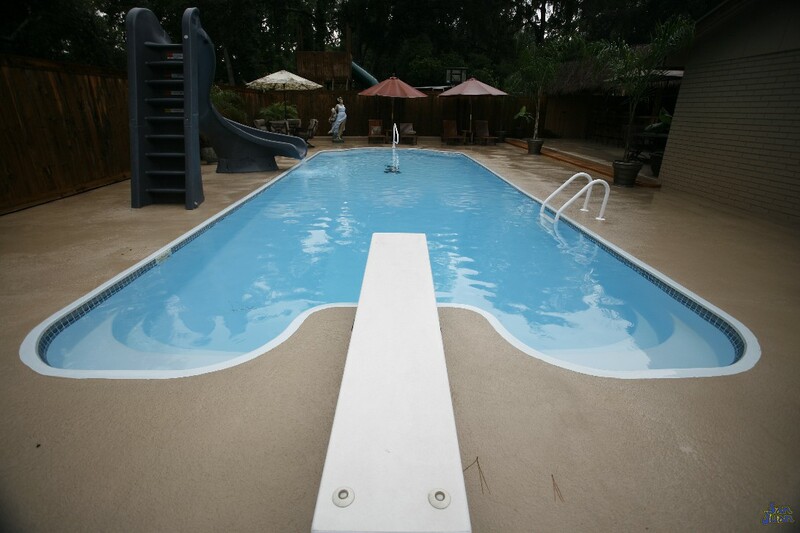 This gigantic fiberglass swimming pool sports a dual set of entry steps in the shallow end. The deep end provides a comfortable deep end bench; perfect for resting between dive sessions. Secondly, the overall length of 42′ 4″ is perfect for lap swimming and its width of 16′ 1″ allows you to pair two racers side by side. Whether you enjoy head to a head swim competition, diving for dive rings or simply floating with a buddy in your fiberglass swimming pool; you’ve got the space to make it all happen!